Best freaking mod of all time, gosh it is so useful. Will this ever be updated to 1.12.2? Support for 1.12.2 please. This is a wonderful mod. 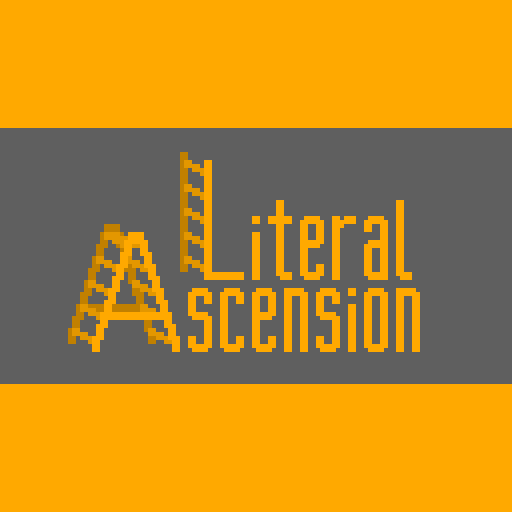 LLibrary has been updated to 1.12 and stable for a fair while now. Looking forward to your mod being updated to 1.12 as well! Absolutely awesome, nothing much to say. 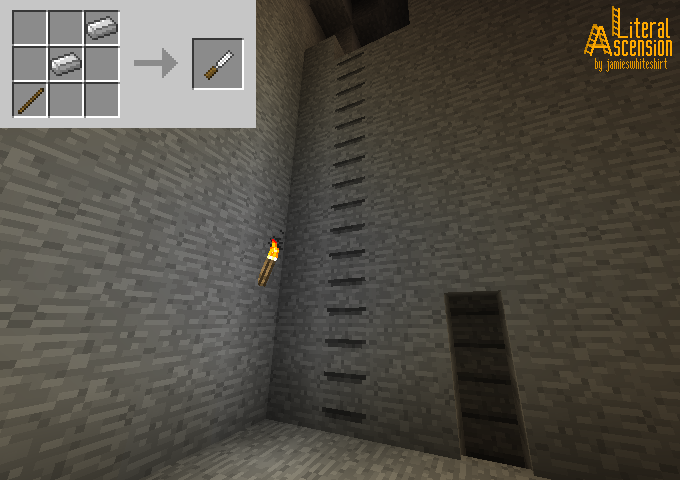 I'm planning on making an expert mode modpack, since why not and that stuff, and this works great for early game vertical transportation since ladders are gonna get revamped ;) I mean, you dont just make a perfectly climable and tough ladder that magically sticks onto walls by putting a couple sticks together, right? Best case scenario, it's gonna fall into a pile of, well, sticks. I just wanted to take a moment to say thank you, I appreciate your efforts. This mod, even though it doesn't add as much as some of the heftier mods out there, provides something unique and very useful. A buddy and I still laugh about the time we modified the Sky Factory 3 pack to include it then used the ropes to climb down and retrieve our graves after we fell out of the world. 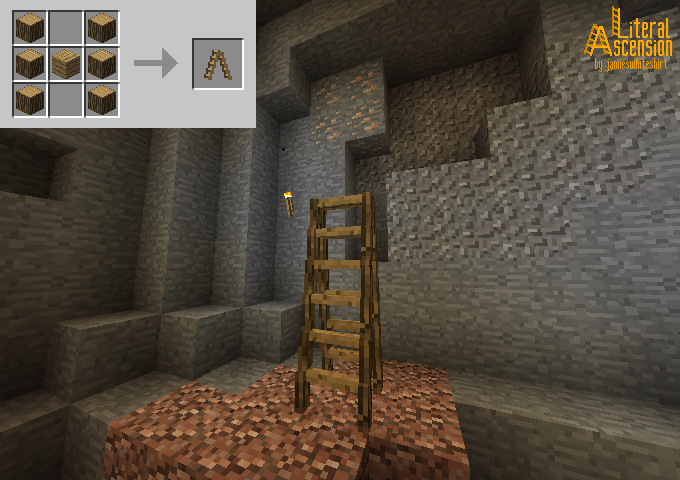 I've moved up to using 1.12 since then, and am glad that I can look forward to experiencing this mod in a survival pack in what I hope to be my first pack. Keep up the great work! Thanks again. I am currently waiting for LLibrary to be stable for 1.12. The only 1.12 release is an alpha, meaning it cannot be included in modpacks. It's not stable, either. This has been no longer the case for a while now. But it's fine as long as you're working on getting Literal construction out on time for its intended release window of mid-2017. [15:17:50] [main/ERROR] [FML]: The coremod net.ilexiconn.llibrary.server.core.plugin.LLibraryPlugin is requesting minecraft version 1.10.2 and minecraft is 1.11.2. It will be ignored. Hey, i've tried to launch the game with this mod and after downloading the 2 additional files needed for it the game just crashes the second i click play. The game output is in the spoiler. You have to install the right version of LLibrary. Alright, looked up the 1.11.2 update, downloaded and it works fine now. Thanks for the quick response! Is there a way for users to add other stones to the carver? 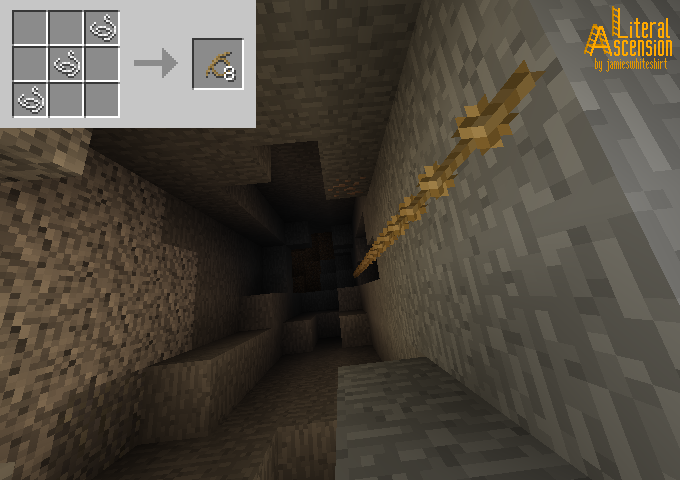 I found myself in a a pit made up of Underground Biome Constructs stone and vanilla sandstone only to find I couldn't carve either. im surprised that no one has thought of this yet. Good job man! LLlibrary appears to have game-crashing glitches. Is there any way you can make this mod work without it? I don't intend to, no. Have you reported the issues to LLibrary? I can have a look and fix them myself.